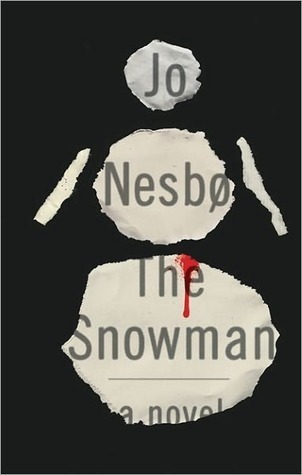 This entry was posted on Tuesday, May 29, 2018 and is filed under Book Review,Crime,Harry Hole,Jo Nesbo,The Snowman,Thriller. You can follow any responses to this entry through the RSS 2.0. You can leave a response. I've never known anything about this author other than seeing their books around, so I was under the misconception that Jo Nesbo was female! I don't know why but your review brought me up to speed about my mistaken assumption. It's also intriguing that his books were translated out of order. I wonder how they chose to do this, or how that came to be? I learned a lot through reading this review! That’s funny...he is definitely a guy! I think they translated based off of the reception of his series. From the reviews I’ve read, his earlier books aren’t as popular. Since NetFlix I have a real appreciation for Scandanavian countries wonderful mysteries. I really like a well told serial killer book as well. I have heard of this author but haven't tried him. After reading this, he is a maybe someday for me. Wonder if there is a movie?